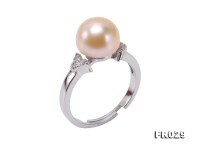 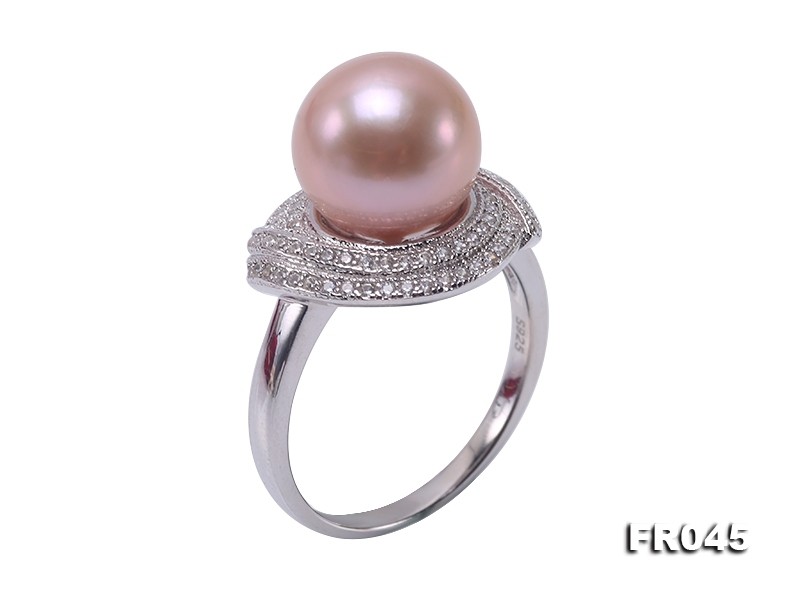 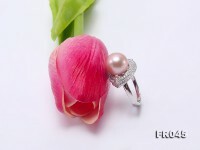 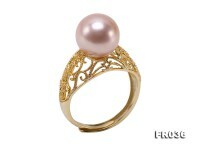 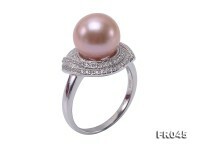 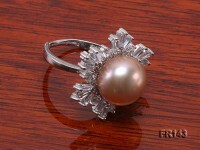 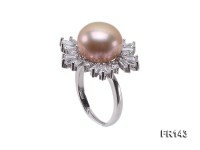 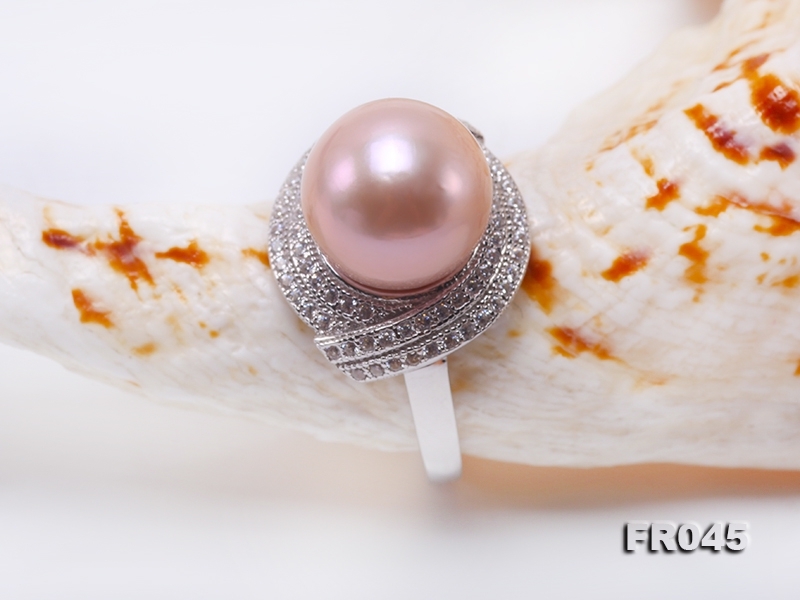 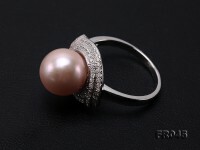 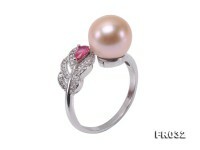 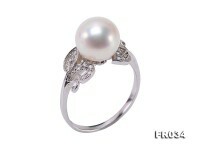 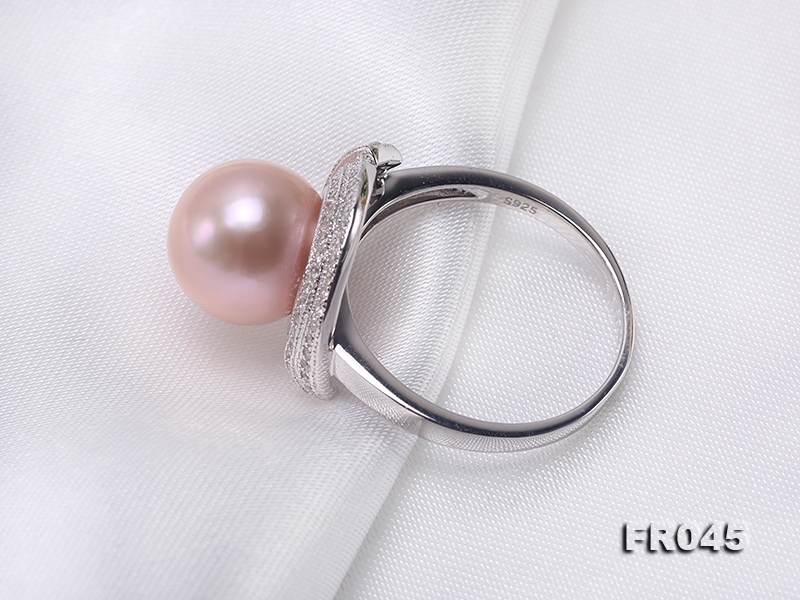 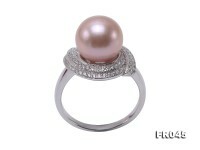 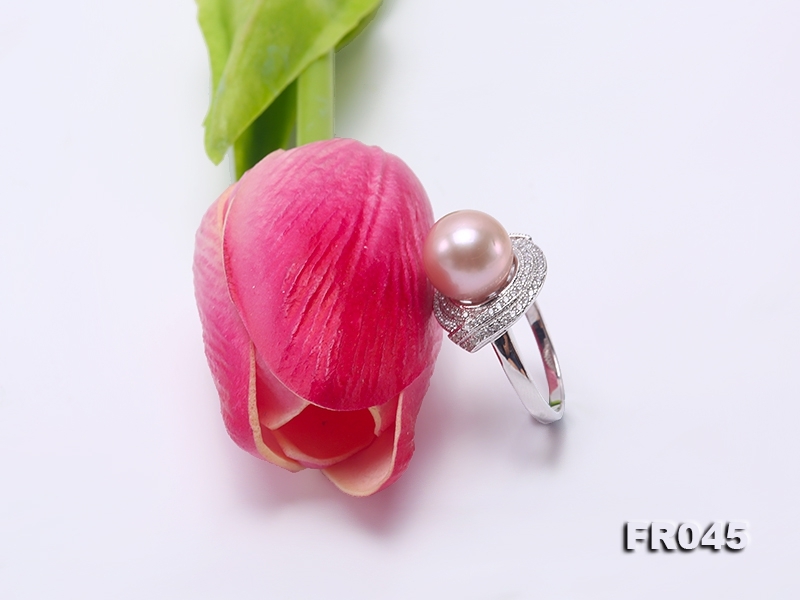 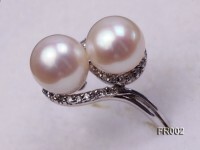 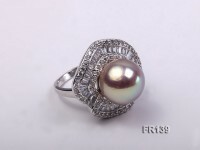 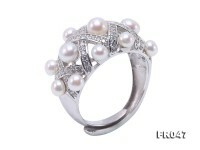 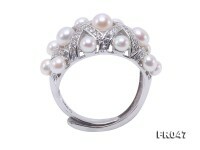 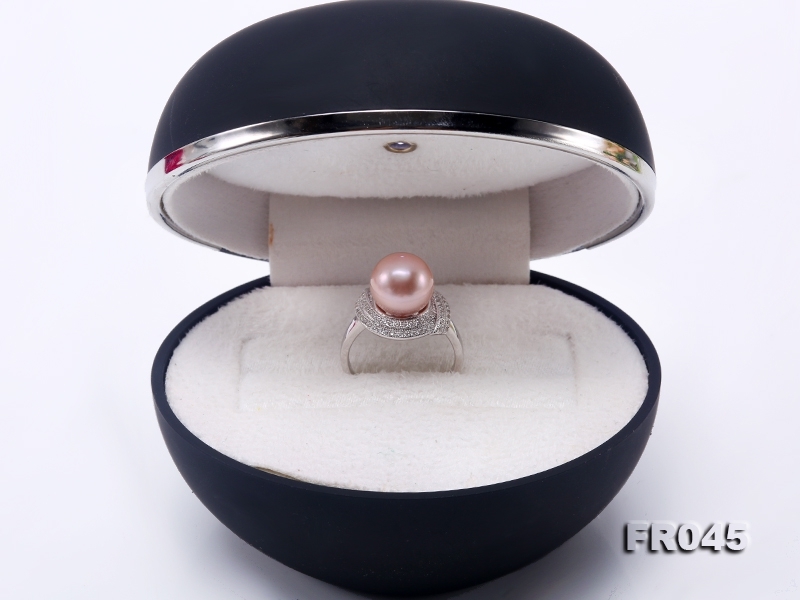 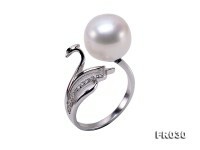 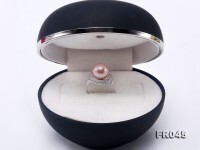 Elegant lavender pearl ring with sterling silver circle and a high grade 10.5mm freshwater pearl. 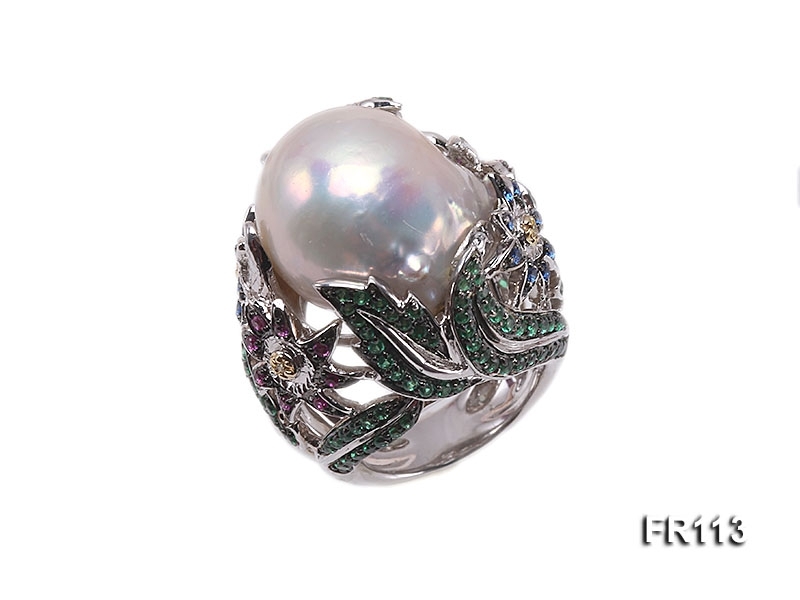 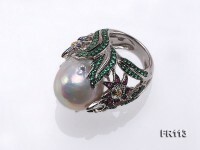 The 925 sterling silver ring is delicately inlaid with shiny zircons. 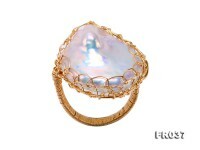 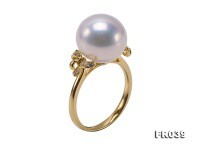 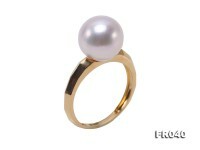 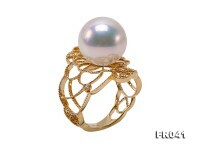 The pearl has perfectly round shape, flawless skin, and mirror-like lustre. 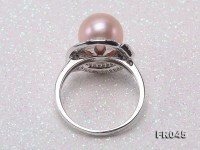 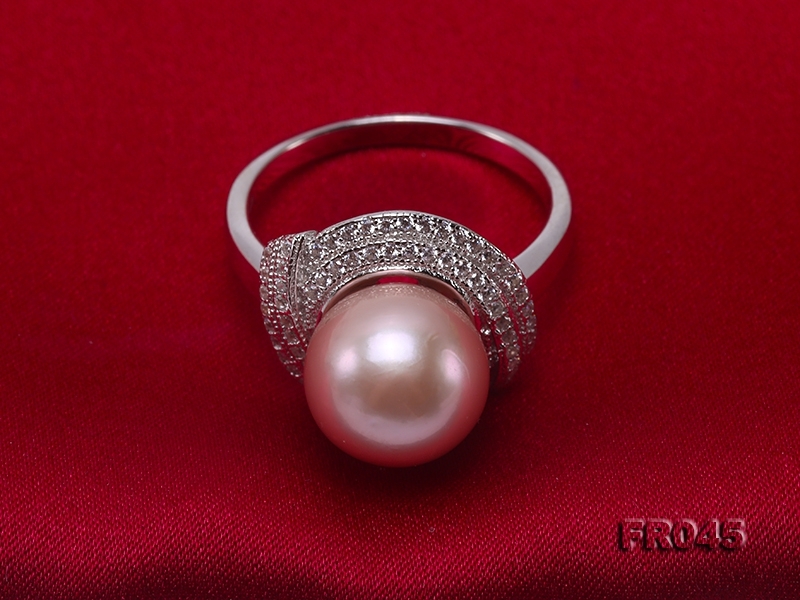 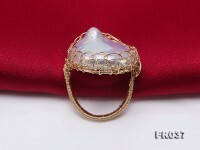 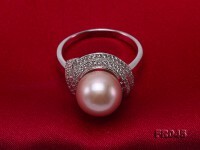 Your reflection is clearly visible on the pearl surface, which proves its superior quality.